Are you looking for an investment opportunity in the heart of the historic New Bedford? 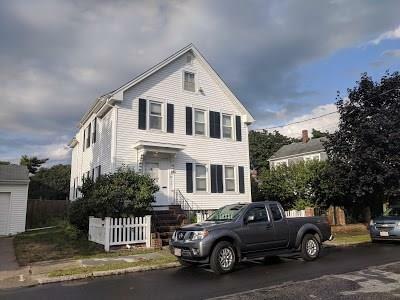 Conveniently located close to UMASS Dartmouth for commuters, minutes from the New Bedford Ferry Terminal, Whaling Museum, and much more, this two-unit multi family will be easy to rent out. The first unit features 2 bedrooms and a full bath while the second unit features three bedrooms and a full bath. Both units have a large double living room, kitchen and dining area. A must see! Please note: Property is vacant and has been for some time. The expenses are based on vacant units.